I’ve become quite a connoisseur of holocaust films over the years. Being Jewish has connected me in a deeper way than most people to these types of films, as I had family survive and killed during that immensely tragic time. From films like ‘The Sorrow and the Pity‘ to ‘Schindler’s List‘ to even ‘Inglorious Basterds‘ and the ten hour documentary ‘Shoah‘, I’ve seen a ton of films that have dealt with the holocaust on all levels. This particular film however, does something new, which I’ve never seen before. 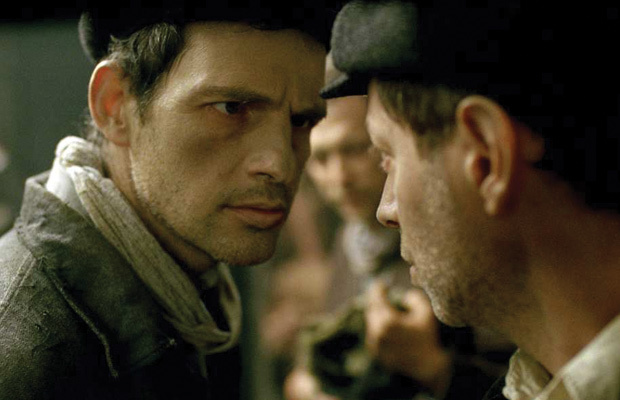 It’s called ‘Son of Saul‘ and is just as rough, depressing, and sad as you might come to expect from a holocaust movie. First time feature director Laszlo Nemes has definitely made a name for himself with this first film, which is already being considered for BEST FOREIGN FILM at the Oscars, and I must say, it just might win. Shot differently than most films, Laszlo gives us an almost first person view or in this case a third person view of one guy forced to work at Auschwitz (one of the worst concentration camps)during the span of about twenty-four hours. The camera follows him through on one long tracking shot in each scene, leaving us no escape from the atrocities happening around him at any given moment. ‘Son of Saul‘ follows a man named Saul (Geza Rohrig) who is a Sonderkommando. A Sonderkommando were Jews who were forced to work at concentration camps under the threat of constant death in forcing other Jews into the gas chambers, then stealing their belongings. Sonderkommandos usually only lasted a few months before the nazis killed them. Saul witnesses a nazi soldier murder a young boy, believing the boy is his own son. This affects Saul in such a way that he tries to secretly find a rabbi to perform a proper burial for his son under the radar of all the nazis. Meanwhile, word gets around the entire Sonderkommando crew that the nazis are planning to gas them all the next day, which leads to a fight and rebellion against the nazis in the final hour. This is an extremely painful movie to watch, in that it reminds us that all of this actually happened, and not all that long ago. 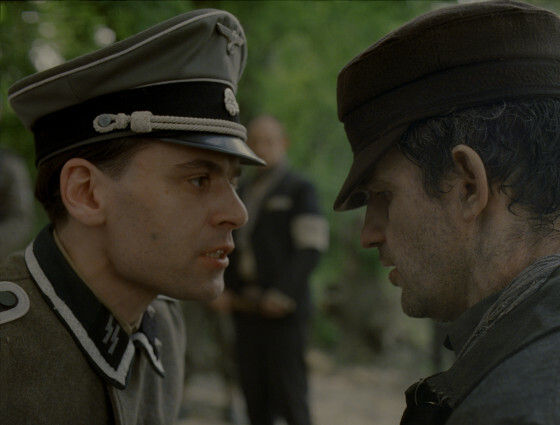 As we follow Saul on his chaotic journey through Auschwitz, we get a first hand look at all of the horrible jobs these Sonderkommandos were forced to do at gun point, as well as all of the screams, horror cries, gunshots, and death that surrounds Saul. Most everything around Saul is shown in blurred vision with Saul in crystal clear focus, as if like he’s dead to the world around him. Not only that, but the sound design is so intense that each sound comes full force and stays with you long after its heard. It’s one unrelenting 24 hours for Saul with no rest. The film emotionally and physically exhausts you and never allows you to feel a sense of ease or peace, much like it was in one of these camps. 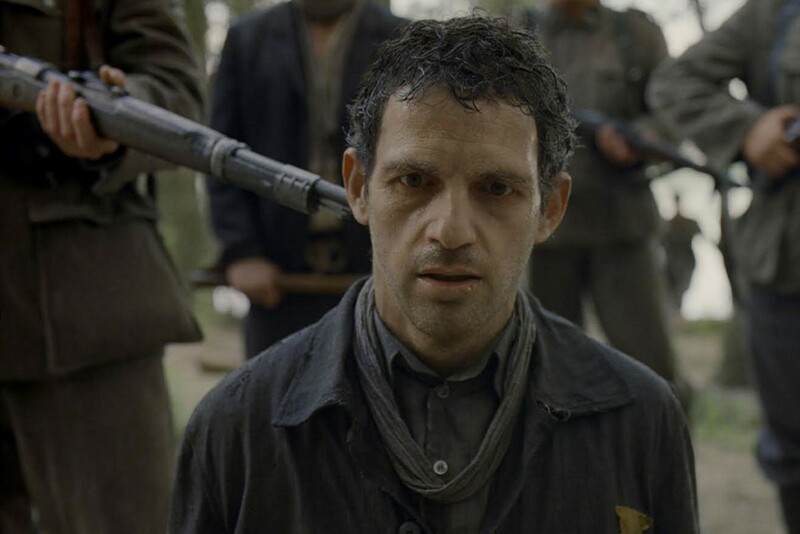 ‘Son of Saul‘ is a fantastic and beautiful film, despite how exhausting and depressing it may be. This entry was posted on Thursday, December 24th, 2015 at 11:12 am	and is filed under Film, News. You can follow any responses to this entry through the RSS 2.0 feed. You can skip to the end and leave a response. Pinging is currently not allowed.